Qatar's ruling emir will attend a meeting of the Gulf Cooperation Council this week in Kuwait, his government said Monday, a summit coming amid a boycott of the energy-rich country by three of the council's members. The ongoing dispute has threatened to tear apart the six-member GCC, all U.S. allies who serve in part as a Gulf Arab counterbalance to Shiite power Iran. Already, the island nation of Bahrain has said it won't take part in any meeting that Qatar attends. Qatar's Foreign Ministry said in a statement that Sheikh Tamim bin Hamad Al Thani would fly to Kuwait City for the two-day meeting scheduled to begin Tuesday. It quoted Foreign Minister Sheikh Mohammed bin Abdulrahman Al Thani as confirming the emir's attendance and saying he hoped "all parties involved do not need a Western party to intervene." 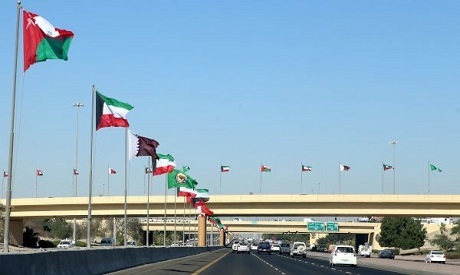 GCC members Bahrain, Saudi Arabia and the United Arab Emirates have cut off Doha over allegations that Qatar supports extremists and has too-friendly relations with Iran. Qatar long has denied supporting extremists, while it shares a massive offshore natural gas field with Iran. It's unclear which countries, if any of those boycotting Doha, will attend. Kuwait has been trying to mediate an end to the crisis that began in June. Its ruler, the 88-year-old Sheikh Sabah Al Ahmad Al Sabah, has flown between Gulf capitals carrying messages. Oman, another neutral party, has acknowledged receiving an invitation for the summit for its ruler, Sultan Qaboos bin Said. A similar dispute erupted in 2014. But this time positions have hardened against Qatar, whose support for Islamist opposition groups has angered those now boycotting it. The UAE in particular views Islamists as a threat to hereditary rule in its federation of seven sheikhdoms. Egypt, long angered by Qatar's support for the Muslim Brotherhood, is also boycotting Doha. The U.S., which has some 10,000 troops stationed at Qatar's sprawling al-Udeid Air Base as part of its campaign against the Islamic State group and the war in Afghanistan, also has sought to end the crisis. However, President Donald Trump has made comments seemingly supporting the Arab nations' efforts at isolating Qatar, complicating those efforts. A Trump-prompted Sept. 9 call between Qatar's Sheikh Tamim and Saudi Crown Prince Mohammed bin Salman that offered a chance at negotiations also broke down in mutual recriminations.